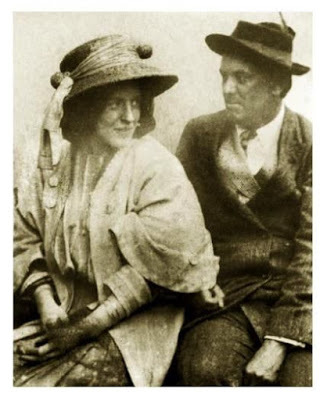 Aleister Crowley’s Family Tree – Zero Equals Two! “Thomas Crowley 1713-1787 (Aleister’s Great Great Grandfather) was a merchant living in London with his wife and seven children. He wrote many books and pamphlets on his Quaker faith. His son, Thomas Crowley 1753-1809 was a tanner and leather worker. He lived in London with his wife and eight children who all belonged to the Quaker faith and Thomas became bankrupt in 1788. Three of Thomas’s sons, Abraham 1795-1864, Charles Sedgefield 1798-1868 and Henry 1793-1857 married into the Curtis family of Alton in Hampshire. Abraham married Charlotte Curtis 1801-1892 in 1822; Charles Sedgefield married Emma Curtis 1804-1845 in 1838 (his second marriage, the first being to Marrion Morris), and Henry married Elizabeth Curtis 1806-1900 in 1845. The brothers founded a business partnership and bought the Turk Street Brewery in Alton on 28th August 1821. As the new brewery became established in Alton and Croydon, business flourished and so did the popularity of Crowley’s Ales. The business was sold on 24th March 1877 to Harry Percy Burrell, whom Gertrude Crowley 1860-1925 would later marry in 1878. The business continued to trade as Crowley & Co until 1947. Jonathan Sparrow Crowley (Aleister’s Uncle) 1826-1888 married Agnes Pope 1826-1869 of Marylebone on 14th May 1853; they had the following children: Jonathan Edward Crowley 1854 (died in infancy), Agnes Crowley 1856-1916 and Claude Edmund Crowley 1866-1937. Jonathan Sparrow re-married after his first wife Agnes’ death to his childrens’ governess, Anne Heginbottom 1840-1921 of Coventry on 4th April 1872. Mary Elizabeth Crowley 1828-1880 (Aleister’s Aunt) married Charles Ebeneezer Burgess 1833-1890 of Chelsea in 1869; they married in Leamington and remained there. Aleister’s other Aunt Sarah Maria Crowley 1829-1856 married the widower John Thrupp 1817-1870 on 21st September 1854. “Aleister’s father Edward Crowley 1830-1887 turned away from his Quaker up-bringing and became a Plymouth Brethren as did his wife Emily Bertha Bishop 1848-1917. Emily’s father John Bishop was a farmer and had three children from a previous marriage: John Bishop 1821-1900; William Bishop 1822 and Anne Bishop 1824-1890. Aleister Crowley married Rose in 1903. Rose was previously married to Major Frederick Thomas Skerrett, R.A.M.C. 1859-1899 at Camberwell on 31st August 1897. Following Aleister and Rose’s divorce, Rose married the Roman Catholic Dr Joseph Andrew Gormley 1849-1925 at Kensington in October 1912. Rose Edith Gormley died in London in 1932. Lola Zaza Crowley was born in 1907 and she married Frank Hill in Paddington on Saturday 9th June 1934. They had a child named Elizabeth Hill born in Paddington in 1935. Lola Hill died on Friday 9th March 1990 at Battle Hospital, Reading, Berkshire.